In a corner of Genspace, a community biology lab in Brooklyn, New York, a woman in jeans and T-shirt splices the DNA of a bioluminescent jellyfish into the genes of an E. coli bacterium to make living wallpaper that glows. Across the way, five high school students cluster around a whiteboard, outlining their plans to build an organism that senses arsenic in drinking water. They are but a few of the country’s bio-hackers, teachers, librarians and artists gone rogue. They gather in a handful of public labs across the U.S. to play with organisms’ source codes and make DNA misbehave. Bio-hacking has come a long way since a handful of science geeks began playing with bacterial DNA in their basements in the 2000s. Today, the products of do-it-yourself biology come out of closet laboratories and into the hands—or backyards—of consumers. It is the era of crowdsourced science, in which almost anyone can make a new creature. Last year, a team of entrepreneurs created a glow-in-the-dark plant engineered with genes from bioluminescent bacteria; this year, a college undergrad in Brooklyn is working to create plants that would survive an enormous dose of radiation and help clean up nuclear disasters or even colonize another planet. 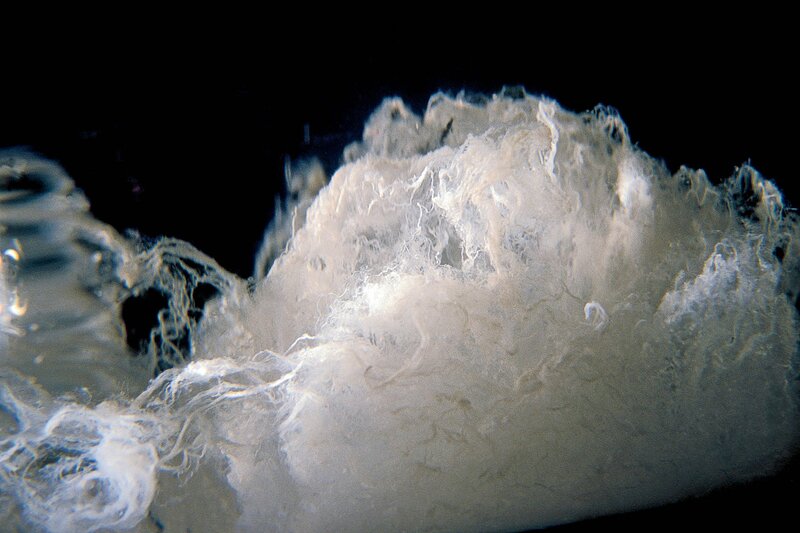 At a communal table just outside of a glass-walled laboratory at Genspace, a woman greets me, introduces herself as Ellen Jorgensen and hands me a cotton swab. She tells me to rub the inside of my cheek with the swab. In the course of a few days, Jorgensen explains, I’ll open up my cells and find out what secrets lie inside my genes. Each of these cells contains everything from my ancestors’ migration story to my susceptibility to certain diseases. In a previous life, Jorgensen, who has a doctorate in molecular biology, worked as a biotechnology researcher for a company looking for ways to more easily detect tobacco-related lung disease. Now she’s a bio-hacker: She teaches people how to do biology outside the confines of a traditional lab. Jorgensen says that learning about my DNA will be my first step toward joining the club. If I can manage to isolate my genes, I can use the same technique to isolate the genes of other organisms, such as bacteria or plants. As she’s talking, I wonder: Could I help create the first Martian plants? Two years ago, Brooklyn artist Heather Dewey-Hagborg came to Genspace to see how much she could learn about a stranger using only a tiny sample of DNA. So she roamed the streets of New York City collecting cigarette butts and discarded gum and brought the bits of saliva-covered detritus to Genspace. Using the same DNA-isolation process Jorgensen took me through, Dewey-Hagborg culled the genetic material from her samples. She wanted to know what these strangers looked like, so she focused on the parts of DNA that code for physical traits. She could decipher everything from someone’s gender to his or her hair and eye color, skin shade, nose width and distance between eyes. Then she used a computer program to build a three-dimensional model of each stranger’s face and a 3-D printer to print them. Although the faces were not an exact replica, they shared what she calls a “family resemblance.” When Dewey-Hagborg finished the project, she says she was surprised—and disturbed—by how much she could find out about a person she’d never met. That fascination fueled her latest project, a liquid spray that erases someone’s genetic trace. The solution, which includes two sprays, available in June, costs $99. The first liquid is a strong cleaning agent that destroys most of the discarded DNA. The second is a blend of foreign genes designed to scramble any remaining genetic trace. Dewey-Hagborg thinks people with genetic conditions will use the spray at work sites or job interviews to prevent discrimination. “When anyone anywhere can do this kind of work and look at your DNA, this becomes a necessary part of life,” she says. Jorgensen led me through the process that enabled me to look at my own DNA, to find out if I had a special mutation that would make me more resistant to certain forms of HIV. She used a piece of office-gray equipment that looked a little like a photocopier. The machine used heat—and special enzymes that help the strands of DNA reassemble after they break apart—to copy my genes. Then I looked at the tiny strands of genetic material on a black light. A longer strand would mean I was mutation-free: Anyone who has inherited the mutation is missing a chunk of genetic material and thus has a shorter strand of that DNA segment. If someone gets the mutation from both parents, he or she is missing a bigger chunk—and is thus twice as resistant to some types of HIV. Jorgensen and I scanned my DNA for the mutation that would make me more HIV resistant. “Looks like you’re normal,” she said. Bio-hackers have found hundreds of such combinations that survive lab tests. As a result, watchdog groups are concerned about the bio-hacked organisms’ potential for harm. Even if they don’t intend mischief, bio-hackers now have the power to widely disseminate products that have not been tested for negative effects. Shortly after a team of entrepreneurs in San Francisco announced plans to market the first bio-hacked glow-in-the-dark plant in 2013, a technology watchdog group named ETC petitioned the U.S. Department of Agriculture to block the project. But the federal regulator told the ETC it was not equipped to regulate it. In the course of a few months, the glowing plant team raised close to $500,000 for its project—far more than its $65,000 goal. This summer the team is set to ship 600,000 of the glowing seeds to people who supported the project. Genspace bio-hacker Yuriy Fazylov is experimenting with genetically engineering plants to survive in areas of high-radiation exposure—on Earth or in space. 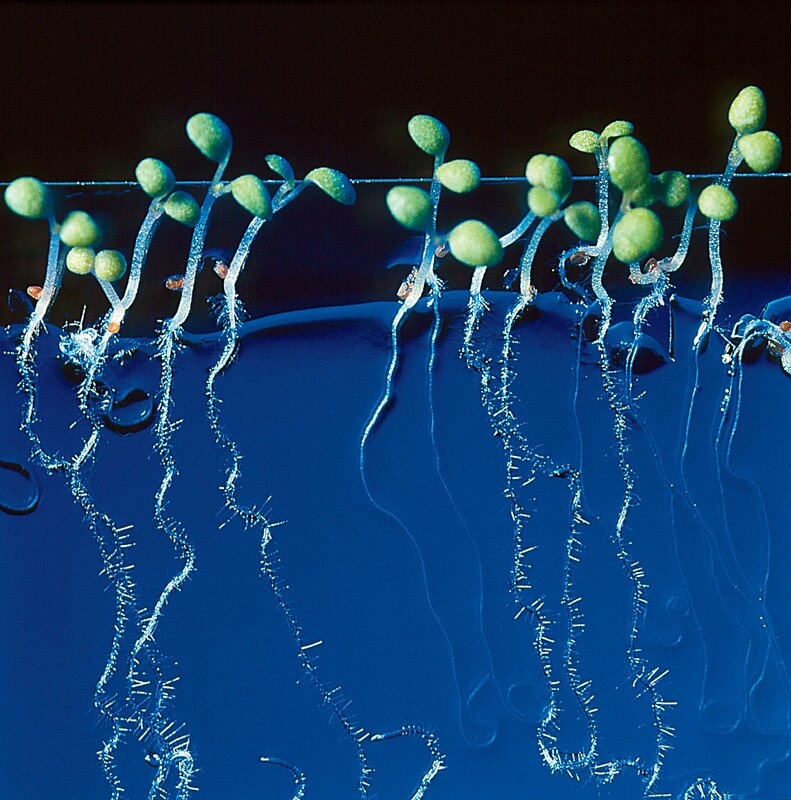 This involves splicing a radiation-resistance gene found in fungus into the DNA of a small flowering weed. On Earth, Fazylov says, the plants could help repair large swaths of land damaged by radiation from nuclear disasters. If deployed in Fukushima, Japan, for example, the plants mitigate the environmental problems of the area by soaking up radioactive atoms, and eventually encouraging other forms of life, such as bacteria or insects, to return to the area. (This is a process called "phytoremediation" — using plants to restore balance to the environment.) In the same way, the plants might also eventually help us colonize other planets. Fazylov sees huge potential to market the project in the next few years, and because the project is currently an academic pursuit, he isn't yet worried about safety. When it came time for me to splice together a new creature, I settled on making glowing bacteria. After mixing together a solution of E. coli DNA, water and the enzymes that would tell my new genes where to go, I placed it in a chilled solution of calcium chloride—to break open the E. coli cell walls—and added genes for bioluminescence from a marine bacterium. Then I dunked the vial in hot water—the temperature shock would encourage the bacteria to join, creating a single new organism. A few days later, I took my dish out of the incubator where I’d left the bacteria to grow and slid it onto an ultraviolet light in the corner of the lab. When I flipped on the switch, a little colony of lime green cosmic dots appeared. They were beautiful and, in the confines of their plastic dish, looked harmless.